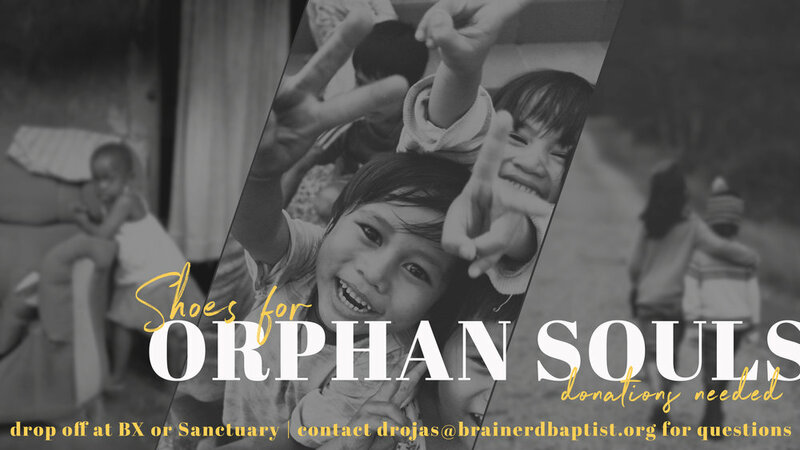 Shoes for Orphans Souls is a collection drive through the month of August. You can drop off your new shoes in the collection bins located in the BX and Sanctuary lobby's. The biggest need is for boys shoes in sizes 1-5, and girls shoes in sizes 4-5. If you have any questions contact David Rojas.